Carbon Fiber Form - Prepreg, braid, fabric and others. Inside Diameter - 0.5mm or above(larger sizes possible). Straight or taper. Length - Up to 2.5m. Longer lengths are possible. Wall Thickness - 0.05mm and above. 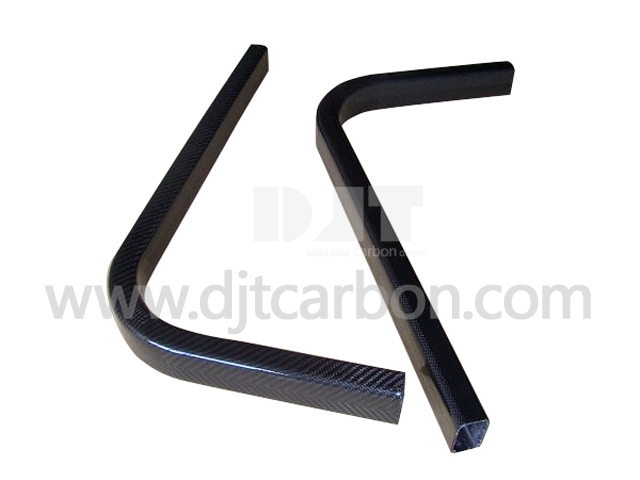 Thick wall carbon tubing is available. Shape - Circular, oval, square, rectangular, hexagonal. Exterior Finish - Cello-wrap, sanded, ground, clearcoat, painted. Exterior Material - Unidirectional, fabric (2x2 twill carbon fiber, plain weave carbon fiber, others). Process Method - Roll wrap, bladder molding, RTM and other.